Well, another year, another conference in the bag. Pittsburgh welcomed our wild, cheesy ways and we took over hotel bars with nights of cheese parody karaoke unlike anything ever heard before. 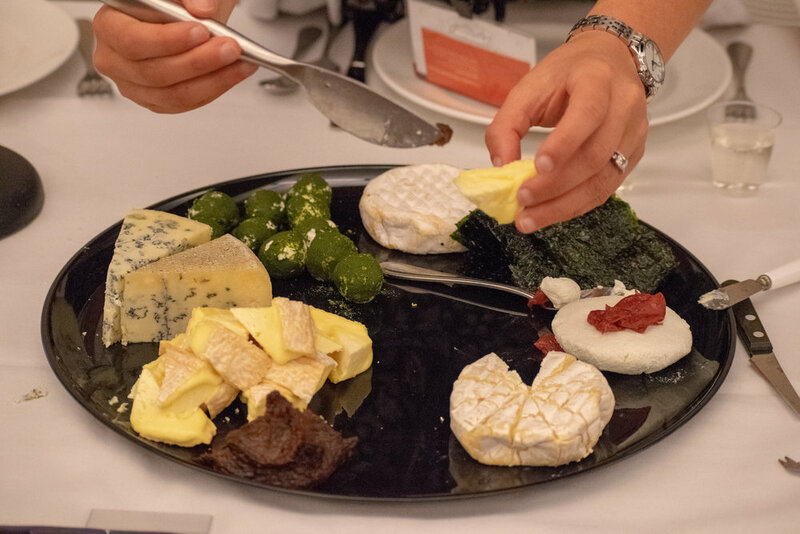 Massive cheese platters were made, butter tables were filled to the brim, and pairing sessions happened around every corner. And then there are the people, over 1300 curd nerds from around the country (we also had nice representation from France, England, Australia, Colombia, and more!) convening on a convention center to talk about all things cheese. Personally, this year was an important year for me as I found out right before conference that my job was ending. (See previous blog post) Most of my conversations revolved around this fact because there's really nowhere better to network your way in to the possibility of a new job! Honestly though, it was more than that for me. I felt supported in ways I've never felt from my community and it made me realize this was what I had been working so hard for the last few years. I recently posted on Facebook that making the decision to drive to Sacramento and volunteer for the conference changed my life 4 years ago and I wasn't exaggerating. That decision set me on the path to where I am now. There's been a lot of hard work in between there sure, but ultimately, that's what lead me here. I made the choice to engage with my community as scary as it was, knowing only a few people and not knowing exactly what I was doing. When you are a buyer at a single store for a large corporation it can seem like you are just another drop in the bucket (Especially in the PNW but that's another discussion altogether) and you kind of are but you also have to be willing to put yourself out there. Things are different now though. I can barely take three steps at conference without seeing someone I know and am so glad to see. I go to a food show and it takes me forever to walk through it because I know most of the people working (though I would also rather be working than walking it). I've made so many connections and people reach out to me frequently for a number of things. I'm so thankful I pushed myself out of my comfort zone. Truly, it was a great conference. Here, have some photographic evidence.